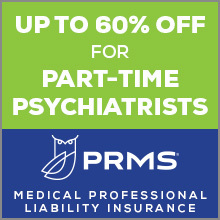 The needs of psychiatrists working in the emergency settings are unique and the American Association for Emergency Psychiatry (AAEP)--more than any other--strives to represent its members as well as provide opportunities for them to learn and network. We encourage all members to be involved in this organization by joining a committee or the Board of Directors, or by joining us at gatherings during the annual APA and IPS conferences across the country. Please visit those sections of the website for additional information. Should you have any questions, feel free to contact our Headquarters Office at (877) 749-0737.